ImpactOntario is back for 2015! Designed to support deal flow and impact investing opportunities through pitch sessions, one-to-one meetings and plenary sessions, ImpactOntario aims to increase capital directed to profitable ventures with a scalable, sustainable impact. 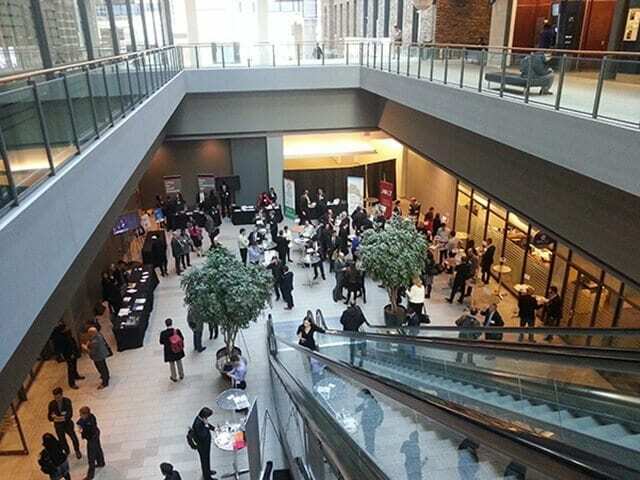 Hosted by the MaRS Centre for Impact Investing, ImpactOntario 2014 saw impact ventures raise over $200,000! This year we are excited to announce that ImpactOntario will be taking place on May 25 at MaRS. Are you an impact venture currently raising capital? Apply to pitch at ImpactOntario, where you’ll have the opportunity to meet leading impact investors! Showcase: One cruiser table to showcase your product/service throughout the conference. Applicants should review the detailed application process here. ImpactOntario is open to ventures who have been approved on the SVX. Review detailed application process here. Submit your pitch deck by Friday, April 17 at 5:00 p.m. ET. Select applicants will be invited to complete their SVX profile in order to qualify to pitch at ImpactOntario. Sectors: Sectors including clean technology, education, food, inclusion, IT and social technology, and health and wellness. Incorporation: Ontario incorporated for-profit or not for-profit (includes co-operatives). Operating history: Minimum two (2) year operating history. Market traction: Existing revenue, customers, and/or investment. Business plan: Business plan that demonstrates understanding of long-term finances, operations, and strategy (should be available upon request). Impact: Demonstrable, measurable impact (B Corporation/GIIRS rating for for-profits). Capital need: Ventures must be raising debt or equity investment capital. Ventures should send their pitch materials to Marie Ang via email at mang@marsdd.com by Friday, April 17 at 5:00 p.m. Please reference “ImpactOntario Application” in your email subject line. Registration for the conference will open shortly! Please note, ImpactOntario is open to accredited investors only. For more information, please contact Tristina Sinopoli at tsinopoli@marsdd.com. Where do you go to raise impact capital?